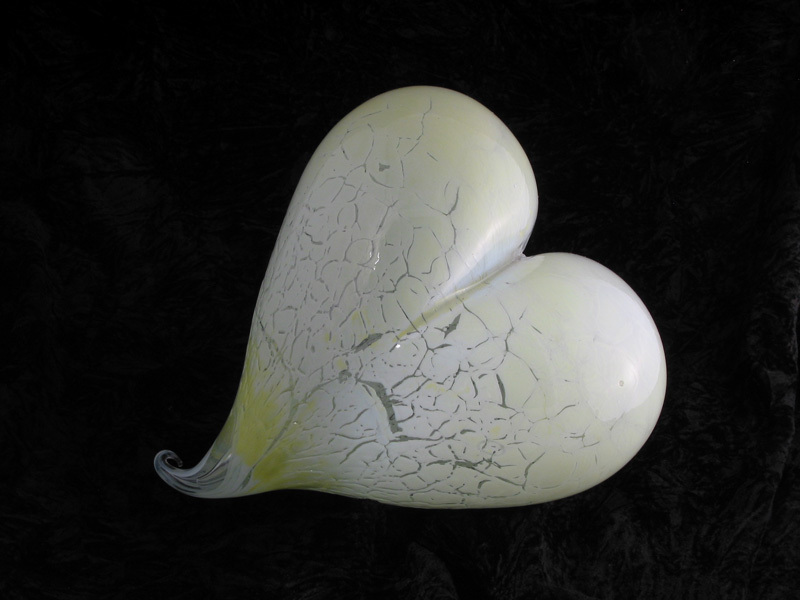 A big greenish white 9″ crackly heart. The color is quite difficult to capture…but greenish white covers it. From a pale green to a greenish white. About 9″ across.